Kiss My Wonder Woman: What Does Tarzan's Whiteness Say About Us? 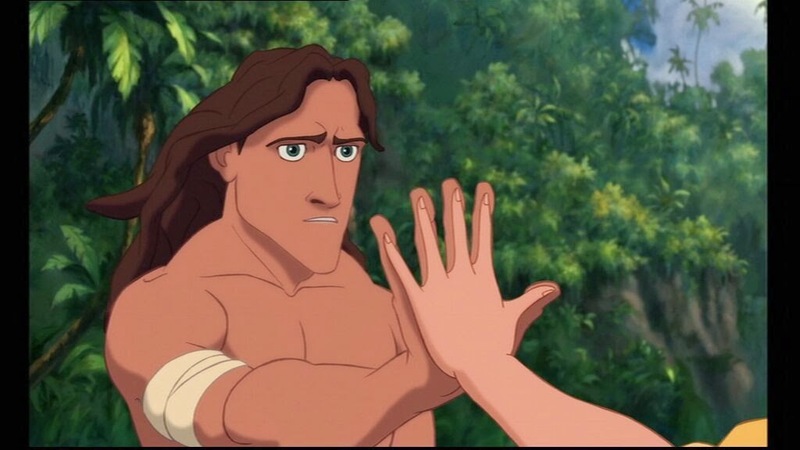 I can't believe it took me until yesterday to realize this, but I have no idea why Tarzan is white. Like, none. Or rather, I have no idea, aside from racism, why Tarzan is white. Because as far as I can tell, it would make more sense for him to not be white than to be white, but somehow it's become integral to the narrative of Tarzan that the character be, well, white. First off, when talking about Tarzan and the Tarzan character, it's worth our time to be specific. Disney, despite probably happily taking credit for this, did not come up with the Tarzan character. * That right belongs to Edgar Rice Burroughs, a pulp novelist of the early to mid 1900s. He also wrote the John Carter of Mars stuff, so that's roughly the level of artistry and simplistic understanding of race we're working with. Burroughs was very proud of his character Tarzan, so much so that he bought a parcel of land in LA county and named it Tarzana. I know this because one of my friends from grad school lived there. It is an actual place. Pretty nice, too. Tarzan first appeared in the magazine serial turned novel Tarzan of the Apes, and then in twenty five novel sequels. His character was then adapted for the screen, making Burroughs just buttloads of money, and since then we've seen countless authorized and unauthorized interpretations of the story. The one people most commonly think of these days are probably the film version of the 1930s through 1960s, where Tarzan is a physically beautiful (played by former Olympic athlete Johnny Weissmuller) noble savage. He doesn't speak full English and was clearly raised by animals. It's the "Me Tarzan, you Jane," kind of thing. 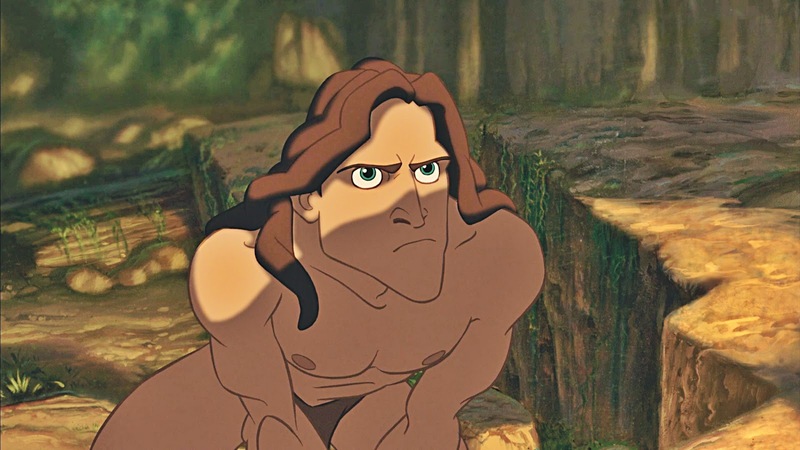 The other version I think most people today are going to think of is the Disney 1999 film, Tarzan, which featured Tony Goldwyn as the voice of Tarzan. They're both what we think of as the basic story. Tarzan, the son of European explorers, is orphaned in the jungle. He is found not by humans but by a group of gorillas and raised as a gorilla. Then, as an adult, he comes into contact with other humans, notably more white explorers, and they teach him "how to be a man". Still, he decides not to rejoin society but to stay in the jungle and protect it, now with his love Jane at his side. Funny thing is, this is actually pretty different from Burroughs preferred conception of the character. Burroughs himself liked to imagine Tarzan as a skilled orator and an English gentleman whose time in the wild did nothing to make him unfit for civilized company. Still, the core of the character is the same: super cool dude who likes living in the jungle and follows a radical "back to nature" bent. Okay, so, history out of the way, why the hell is he white? Probably the simplest answer is that I'm willing to bet it didn't occur to Edgar Rice Burroughs for him not to be white. There's an alarming double consciousness that we see in a lot of writers, even today, but especially back in the early 1900s, that seems to forget that there have been people in Africa for a very long time. Literally as long as there have been people. So while we can sit here and understand that it is frankly hilariously improbable that the first child raised by animals would be some white guy and not a little black child, I can practically guarantee that Burroughs never thought about it that way. For starters, it was important to his character that Tarzan be secretly and without his own knowledge, a member of British nobility. This enforces his understanding as the "noble savage" or the man who could fall into the temptations of power and luxury but simply won't and will eschew all that for a pure and noble life. 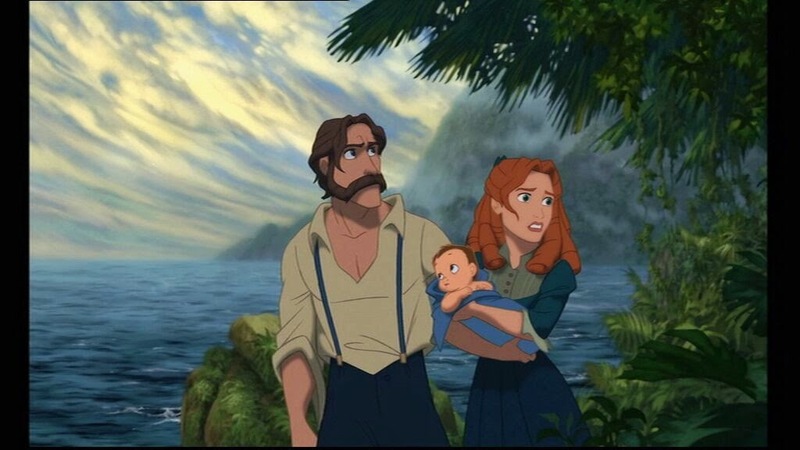 In the original stories, Tarzan is a viscount and actually goes back to England several times, only to decide it's not for him and return to Africa with Jane, choosing to live instead on his extensive estate there. For Burroughs, it's hard to conceive of a narrative with that same impact if Tarzan was an African child, because Burroughs quite simply didn't think of Africans as being as "civilized" as Europeans. For his example to work, there had to be some dramatic shift between being raised by man and being raised by beast, and tellingly, Burroughs clearly did not think that there would be enough of a contrast if his main character were from Africa. So there's that pile of racist badness. But none of that answers the question of why is Tarzan still white? Why, even though at this point we're all very clear that there are black people in Africa and it's not just an empty continent with some tribes on the fringes, is Tarzan still in a movie to come out in 2016 being played by a white guy? Alexander Skarsgard, to be precise. Part of this I think is unfortunately the fact that people now assume Tarzan has to be white for the story to make sense. Right? At this point we've had a hundred years of white Tarzans so it would be counter to the story for him to be black. Or so people say. Despite being perfectly willing to muck up the story seven ways to Sunday, writers will still insist on keeping to the "core" of what makes Tarzan himself. And that core, as far as I can tell, is his whiteness. Because Tarzan is a "beast man" or "noble savage", he's a character we're only comfortable with if he's white. I really hate saying that, but I'm pretty sure it's true. Tarzan, without the cloak of whiteness, is an inherently threatening character to white audiences. He's feral, violent, uneducated, and in the truest sense of the word, uncivilized. He can speak to animals, he acts as if he himself is an animal. He eats his meat raw and sleeps in trees and makes battle cries while he runs through the jungle. And all of this is "exotic" and "exciting" if he's white, but "threatening" and "disturbing" if he's black. Furthermore, were Tarzan to be a black character, we (white people) would be much more uncomfortable about his relationship with Jane, wouldn't we? It's all well and good for a nice white woman to be romanced by a man-beast if he's white, but make him black and suddenly you'll see people cringe and call their relationship unhealthy. Seriously. We don't want Tarzan to end up with Jane if he's black. Because we think that if he's black, and no other circumstances change, Jane isn't safe with him. Now, reading through all of this, I'm not sure if my argument here is that I think Tarzan should be black. I'm not sure I think Tarzan should be anything, because it's not really one of my favorite stories. It reeks of cultural imperialism and the belief that without Western education no one is "civilized" and there's something a little weird about a white guy needing to be the savior of Africa's jungles. Just overall, I personally don't think the Tarzan narrative is one we ought to stick to at all. I prefer Mowgli and The Jungle Book, personally. But that's just me. What I do want to argue here is that whether we are aware of it or not our social prejudices and beliefs come through in the media that we create and the media that we enjoy. The fact that Tarzan is white and has stayed white for a hundred years despite that being incredibly improbable in the actual story and much more interesting if he weren't, says so much about us as a culture. It says that despite our claims to the contrary, we still view Africa as an uncivilized wilderness devoid of real people. And it says that we find the idea of black power and strength alarming at best and threatening at worst. It says that we as a culture are still incredibly uncomfortable with interracial relationships, and it says that we still think Western culture is more civilized than any other. In short, if we look at how our culture views and appreciates the Tarzan story, it makes me pretty unhappy. But it does explain a hell of a lot. *The reason we're using only images from the Disney movie is because I think that's more visually appealing than most of the other Tarzan movies. Personal preference. 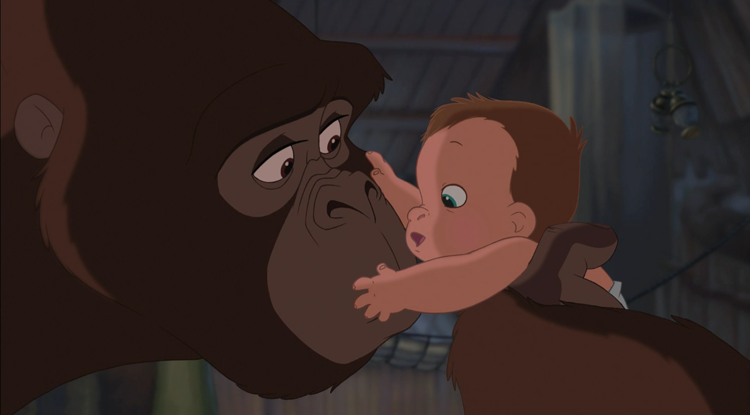 One of the appeals of the Disney version, for me, was that Jane was basically Jane Goodall, right down to the fact that she's a biologist researching gorillas, who discovers that they have family units. That pseudo-historical setting has a lot to do with Jane's whiteness, and Tarzan's too. You have to come up with a reason for Tarzan to be near the apes in the first place. I've always been under the impression that the great apes are found in places where people just don't go. So to do Tarzan, you have to have modern explorers. Before 19, what, 40? that meant pretty much Europeans. Mowgli, on the other hand, is set in India, which is much more convenient for using a local native as the main character, because pretty highly developed civilization (I mean complexity, not superiority) juts up right into the wilderness. Moses on the Mesa, on the other hand could have been just about any culture or color that you like. He just happened to be Jewish. Sorry to comment so late, but one point that I think is very, very, very important as to why he had to be white is the time when it was written. You do mention it, but you look at it as, "Everyone was racist then, so the writer was clearly racist, and this is racist," but even if the author had a more modern mindset in regards to race, at that time, there is no way he could sell a book about a black kid being raised by apes because, as you pointed out, people at the time thought black people were more like apes than white humans, so it would be about as popular as a story about a dolphin being raised by porpoises. At the end of the day, which would an author rather write? A book that is going to sell, or a book that agrees with a very, very, very liberal concept (at the time it's written). Of course, he probably never even considered using a black main character (as you said), but if he had had the thought of using someone native to the area, he would have never dared to go with it. Also, what Kyle said is very important. I know this is v e r y late in the thread, but I just had the same "duh?" moment. I searched for "why is Tarzan white", and stumbled upon this blog. Everything all of you are saying is very interesting, and probably truthfully correct (to hell with politically correct). In the end, Austin is right on target. It was about money. Burroughs had a family to feed. Now I'm wondering why Tarzan waited for a white Jane to come along. Would the story have been profitable if Tarzan had gone out and kidnapped a black Jane? Sorry for another super late comment. Found your blog from Googling for an image of a more realistic Tarzan. Rather than wondering why Tarzan is white, I was wondering why he's so clean-shaven. 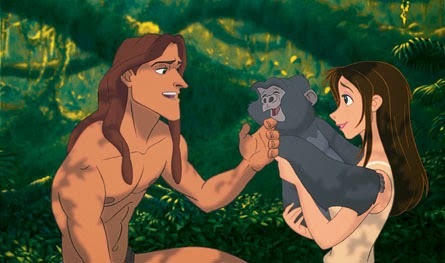 The last image you have with Tarzan and Jane was just so breath-taking I had to click on it! What you have to say about Tarzan's whiteness is very intriguing. I also appreciate the history you incorporated into this. What I'm wondering now is, what if all the characters were African? No controversy about interracial relationships. An African Tarzan and an African Jane. I find the idea of this more plausible. Tarzan can still be the "noble savage" and without the nasty stereotypes, because he really could be a lost African noble (who maybe somehow escaped being sold to into slavery during a terrible storm and found his way into the jungle baby Moses-style?). African Jane can still be doing research when she finds Tarzan, and she can still be British, as there are definitely loopholes to get her to be raised in Britain, under a wealthy biologist. To keep it simple, as a black man I have always wondered why we can't be the king of our own jungles in Africa. I look at the author and the racist times of the century he created Tarzan and I come to the conclusion he had no choice. I do not know if the author was racist. I do know that he lived in racist times. I don't know why white society for centuries have thought God put them on this earth to rule every one else. That has always been there mentality and it is sad! Tarzan would've had some mulatto babies and a dozen wives. He wouldn't have been waiting for a white Jane. But when she showed up she could have certainly joined the rest. The reason it's blatantly racists is because white people need to be reminded of the good old da6s. When blacks were thought to be inferior or weren't allowed to compete. Basically it's a reverse ploy to boost their ineptitudes. They keep telling us their superior hoping if it's said enough and shown enough we too will believe it.